Are you ready to develop an individual style within your painting practice? Imagine working on an independent portfolio project while setting personal and professional goals with a supportive community of peers. This course is modeled after the painter’s atelier. It is lead by a professional artist, who with an established practice and exhibition history, is ready to help you on your journey to being a confident fine art painter. You will be encouraged and challenged along your own path and will be exposed to tools to guide you in your practice. Each session will include a discussion about direction and experimentation, will include some art history references and will maybe include some good humor as well! Previous oil painting is required. 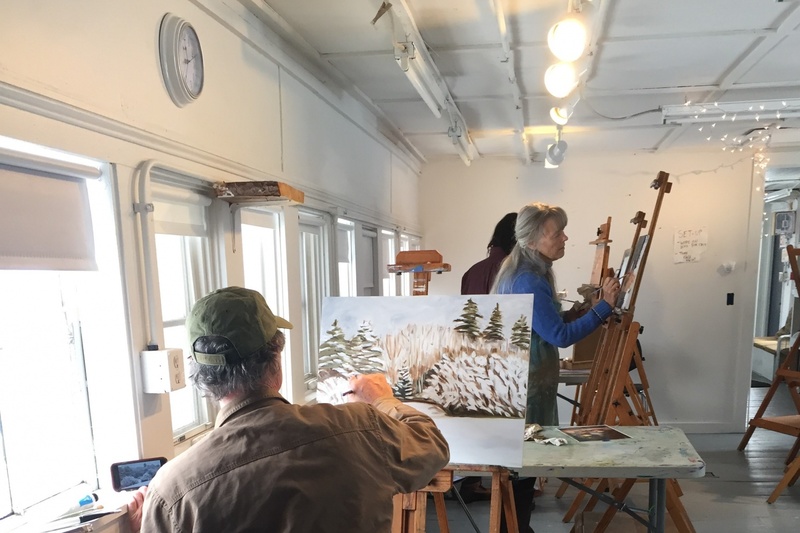 Painting is a life long practice and participants are welcome and encouraged to take this course again and again! Looking to try something new? Check out Clay 101. Welcome and Getting Started. Students arrive and meet and greet followed by an introduction to the class structure. Students begin with a group critique and then work with the instructor to develop independent project goals. Students hold a group and/or individual critique followed by individual practice. Process and Practice. Students hold a group and/or individual critique followed by individual practice.